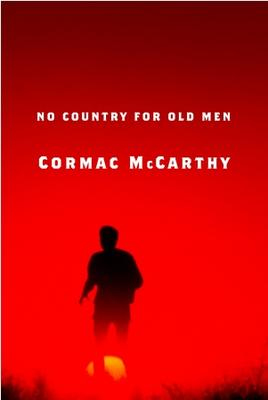 Very late last night I finished reading No Country For Old Men, the newest novel by one of my favorite authors Cormac McCarthy, and I highly recommend it. Like all of his novels, this is stark and elegaic writing at its best. McCarthy writes about the desolate borderlands of southern Texas with a restraint and a beauty that I would have never imagined I would be drawn to, but I am. The action revolves around a drug war (with its ensuing stolen money, panicked fleeing and motel shootouts), and its effects on the lives of several people involved in the small border towns the war traverses. This book is thematically kind of like Traffic (the movie) minus the soundtrack. Reading McCarthy's books is like slipping away into a world that you can viscerally feel as you delve into the dusty roads of his characters and plotlines. This one is pretty bloody, actually, full of evil men and evil deeds, but the human development and dialogue for me is more compelling and drew me in. It is a fascinating glimpse into a part of our land (the country between Texas and Mexico) that I wouldn't otherwise think twice about - maybe just drive through on a roadtrip, looking for the next rest-stop. As a character in the book reflects, "It just seemed to me that this country has got a strange kind of history and a damned bloody one too." McCarthy writes poetry in the form of novels. I first had to read All The Pretty Horses in Mr. Hanford's sophomore English class in high school, and it has stuck with me and grown on me as one of my favorites. If you've never read any of his works, take some time to sit down and lose yourself in one of his novels. They transport you to the rhythms and cadences of another lifestyle, another lifetime, soaked in barren beauty. 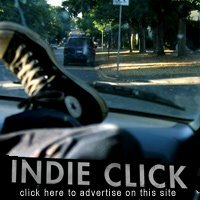 I enjoy your music blog and just finished reading this about a month ago. I thought the "bad guy" (Anton) was the most fully realized I have encountered in print. Truly scary. Blood Meridian is essential McCarthy. If anyone has enjoyed All the Pretty Horses or any of his novels, please go back and read this one. The Road, his most recent, is one of the scariest books I've ever read -- a post-apocalyptic scenario straight out of hell. Great novel! I read somewhere yesterday that this is being made into a movie, due for release some time in Fall '07. Cormac McCarthy is the greatest living American novelist (and I would go on to say the greatest American novelist ever but some of you Faulkner fish loving fools would have my head). Trying to contest this would simply be a waste of someone's time. Blood Meridian is indeed the biggest diamond of his collection. You think No Country For Old Men is bloody? Blood Meridian takes you for a scalping ride that lives a trail of gold and blood with each sadisitc killing. His ability to build up a main character and then discard of them as though they were a wrapper of gum is one of the many ways that McCarthy reminds us of the insignificance of life. On another note, The Road is indeed being made into a film...Viggo Mortensen is playing the Dad.